The EYC is Door County’s family-oriented community sailing center, open June through Labor Day. 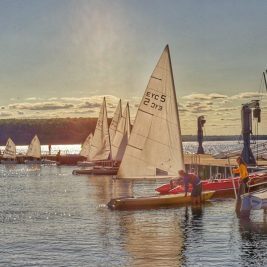 We offer sailing lessons for children and adults, have 40 sailboats available for member use and promote amateur sailing competition on Ephraim’s beautiful Eagle Harbor. Membership is affordable and open to all.